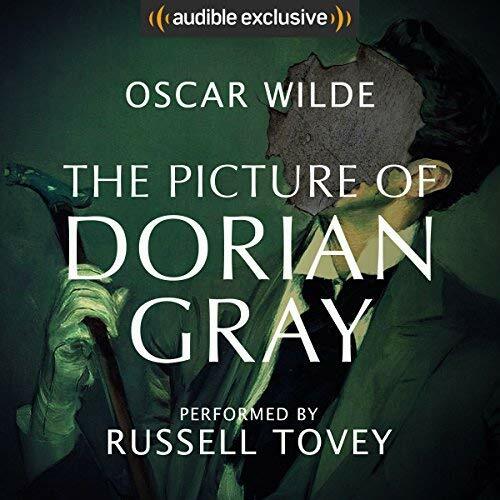 My limited exposure to Dorian Gray before this audio book had been through the quirky movie adaptation of The League of Extraordinary Gentlemen as based on the comic of the same name. But that meant I knew little about the man beyond him being immortal and that was it. But The Portrait of Dorian Gray is so much more than the story of a man who gains immortality. After going through the story I now understand why sites like Wikipedia describe it as a philosophical novel first and foremost since beyond the fiction there are a lot of heavy concepts thrown about as different approaches to experiencing life are presented. And this particular version was certainly a pleasant listening experience that did well to bring new life to the classic text. 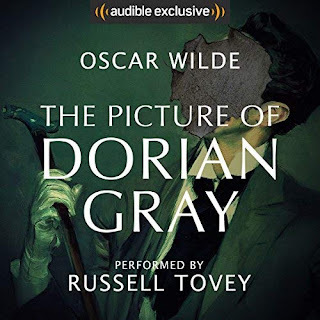 Synopsis: The Portrait of Dorian Gray is philosophical novel by Oscar Wilde. This review is for the Audible audiobook edition as read by Russell Tovey. The story begins with Lord Henry Wolton as a guest of the artist Basil Hallward. As Basil busies himself with his painting, the subject of the portrait captures Lord Henry's attention given his particular beauty. Eventually Basil reveals that the young man in the painting is Dorian Gray, his latest and perhaps final muse. Through painting him Basic believes he's coming to a fuller understanding of true beauty. Lord Henry insists that Basic introduce him to Dorian who fittingly enough arrives while he is present. Lord Henry quickly fills Dorian's heads with his views on the fleetingness of youth and the need to live life to the fullest in a rather hedonistic manner. This eventually inspires Dorian to venture out more and seek romance and make the most of his life. But at the same time he walks away so convinced of Lord Henry's discussion of the value of youth above all else, Dorian ends up wishing that the painting would age instead of himself - something he swears he'd give up his soul for. TL;DR: The Portrait of Dorian Gray is a rich text with beautiful words and heavy themes all rolled into one. This Audible audiobook edition is a delight and certainly worth the credit for the month. And thus the book gets a great 5 voices that Russell Tovey manages to perform out of a possible 5.